Part 7, covering the period from September 1 to March 13 can be found here. Hello has same pictures of the Counts of Wessex and Lady Louise in the snow. Did anyone see them? no!! do you have a link?? =) So are they on holidays? is the link but they don't seem to have the photos...unless they haven't updated the website yet because the issue is still on sale? Photos in German "Frau aktuell"
There they published two photos. They show Sophie with Louise tobogganning. (Sledging? )Louise wears sunglasses in every photo! I don´t know but nobody can tell me that everything is well now with her eyes after some operation. They still look strange and they hide them as good as possible. I remember that photo from last summer where Louise wore that outsized white hat. It looked also strange. That´s all because of her eyes. Perhaps Louise has some sensitivity, or perhaps her parents are cautious about exposing her eyes to the sun or glare. That's not unusual if you have a child with light-colored eyes (I have gray eyes and the sun really bothers me!). I ALWAYS wear sunglasses in the sun. The glare off the snow (even on cloudy days) is horrible. I use big wrap-around ones that fit over my 'regular' glasses. I am legally blind without my glasses and have never had an operation on them. Given that Louise has had at least one operation and is still very young, her parents are being smart--whether or not they are following doctor's advice. But it does make someone easier to spot when snooping for photos. The Countess was given a guided tour of the Railton Road building at Queen Elizabeth Park, Stoughton, Guildford, which the SFWI has occupied since leaving its previous base in Denmark Road, Guildford, last October. Having recently joined the Bagshot branch of the WI, the Countess spent 45 minutes chatting with various representatives and unveiled a plaque to declare the building open. Before becoming the first person to sign the guest book she said: “There are so many talents waiting to jump out at me. Thanks for the photo, Avalon. The Countess looks very nice, the blue colour and the outfit really suits her. The photos are linked in the Lady Louise part 2 thread. She's so big and looks very happy. Both she and her mother are wearing sunglasses. It's so good to see the Countess out and about. The pictures of her and Lady Louise are so great to see. I think Prince Edward and Sophie are being very prudent parents when it comes to rearing their daughter to be as normal as possible. Sophie has two new patronages: The David Lewis Centre , National Epilepsy Centre and the Wells Cathedral GIrls Chorister Trust. Edward will also be making a visit to America In May and Belgium in April. Of the non-Wales', who amongst the Windsors has the most patronages (of the Queen's children's generation)? glad to see that the countess hair is growing back. she looks much younger when she let's it grow. I think she looks less like Diana (not that I think she looks much like her at all but the comparisons are fewer) with longer hair. She looks better when her hair flatters her, without comparison. Can you tell me why I have never seen any Royal Warrants for The Earl and Countess of Wessex? The only members of the Royal Family who are able to grant warrants are The Queen, The Duke of Edinburgh and The Prince of Wales. Her Late Majesty Queen Elizabeth The Queen Mother was also a grantor of warrants; warrants granted by her were retained for five years from her death in 2002, which means that these warrants will be withdrawn at the end of 2007.
and i wanted to ask if sb could be so nice to tell me, what a warrant is? because my dictionary tells me of sth that has to do with a stay in prison? Most English dictionaries use the USA definition where a warrant is issued for someone's arrest based on certain evidence and/or circumstances. 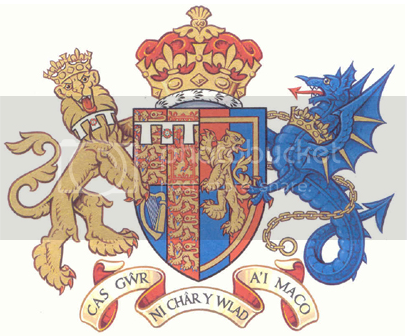 My understanding of a British Royal Warrant is that it is a grant made by senior members of the British Royal Family (currently only HM Queen Elizabeth, Prince Phillip and Prince Charles, as noted above) to companies or tradespeople who supply goods and services to individuals in the family. Its like getting the seal of approval. "We make the soaps for the British Royal Family residences", for example. It brings attention, business, and sometimes more scrutiny. As I recall, Mr. Fayad's Harrod's once had a Warrant for something which was reverted after he started compaigning the conspiracy theories regarding the accident that killed Diana, Dodi and the driver. There is no permanent Warrant so once you've got one, you MUST maintain your standards as you can lose the Warrant. Of course some have been renewed so much, they're older than a century. Which makes me wonder just who has the oldest Warrant as they are not restricted to British citizens? i wanted to ask if sb could be so nice to tell me, what a warrant is? because my dictionnary tells me of sth that has to do with a stay in prison?